Rasmieh Yousef Odeh is a strong, malodorous whiff of “comprehensive immigration reform” a/k/a amnesty and the types of people with terrorist backgrounds who will get U.S. citizenship under it. Odeh is an Islamic terrorist who tried to blow up the British Consulate in Jerusalem in 1969. A Popular Front for the Liberation of Palestine (PFLP) terrorist, she is also a naturalized U.S. citizen, whose terrorist background–even though she was convicted in Israel–our trusty INS background screeners didn’t catch. And they gave her a golden ticket into the U.S. That part of the INS now reconstituted as U.S. Citizenship and Immigration Services (USCIS) now does even less of a background check on those seeking Green Cards and U.S. citizenship, today. USCIS will be in charge of doing the quickie/rubber stamp background checks if immigration amnesty is passed. They missed Odeh’s terrorist past because they didn’t do even a basic Google search. It’s laughable. And if they didn’t catch Ms. Odeh’s conviction for Islamic terrorism in 1995 when she was allowed into the country–and again in 2004 when her citizenship was rubber-stamped, you can bet that they will not catch other Islamic terrorists like her if and when immigration amnesty is enacted. Odeh’s conviction in Israeli courts was missed by U.S. background checkers at least twice (and many other times when she failed to disclose it on various forms and applications). Her terrorist group, the PFLP, murdered Israeli Tourism Minister Rechavam Ze’evi. A naturalized United States citizen who was convicted in Israel for participating in a terrorist bombing was charged with immigration fraud, [it was] announced today. . . .
[Immigration and Customs Enforcement (ICE)] Special agents arrested Rasmieh Yousef Odeh, 66, at a Chicago-area residence after the unsealing of an indictment filed in federal court in Detroit. The indictment charges procurement of citizenship unlawfully. The indictment alleges that Odeh was convicted in Israel for her role in the 1969 bombings of a supermarket and the British Consulate in Jerusalem, which were carried out on behalf of the Popular Front for the Liberation of Palestine (PFLP), a designated terrorist organization. According to the indictment, Odeh and others placed multiple bombs at the British Consulate and in a supermarket. One of the bombs placed at the supermarket detonated, killing two and injuring others. A bomb placed at the Consulate caused structural damage to the facility. Odeh was sentenced by Israeli military authorities to life imprisonment but was released after 10 years as part of a prisoner exchange, and she then returned to the West Bank. The indictment alleges that in 1995, she immigrated to the United States and naturalized as a citizen in 2004. In her immigration documents filed in the United States, the indictment alleges, Odeh omitted her arrest, conviction, and imprisonment overseas, which were material facts for the United States government in determining whether to grant her citizenship. . . . If convicted of the charge, Odeh will be stripped of her United States citizenship. She also faces a maximum sentence of 10 years for naturalization fraud. Islamic terrorists are not stupid. 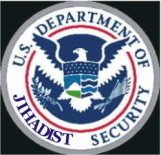 Of course, they omit their activities in Islamic terrorism when they apply for U.S. citizenship. It’s our country’s job to weed them out. That Odeh’s involvement in and conviction and prison time for a terrorist attack in Israel was missed by the INS and then by Homeland Security’s USCIS should be a giant hint: America cannot handle immigration amnesty. Heck, we can’t even handle those terrorists who allegedly come here legally and go through the process. Buthina Canaan Khoury tackles a difficult subject in her first feature Documentary, Women in Struggle. The film is about four Palestinian women imprisoned in Israeli jails for various offences, ranging from the serious (providing safe houses for members of the Popular Front for the Liberation of Palestine, surveying targets and planting bombs), to the less serious . . . . Most of the film centers on the lives of three middle-aged women: Aysha Odeh and her sister Rasmieh Odeh, who were both sentenced to life in prison but spent ten years in detention . . . . These women joined the resistance in the 1960s and 70s, after Israel occupied what remained of Palestine in the June 1967 war. That’s from a 2005 review of a Palestinian propaganda “documentary” (more like, fake-umentary). Why did it take until 2013 to figure out she omitted this info from her citizenship application and indict this beastess? She’s not an ‘Islamic terrorist.’ If she was a member of PFLP, then she’s the opposite of ‘Islamic,’ a Marxist-socialist. What are you talking about, MT? I’m really sick of people (and Cockroaches) who have an avatar of them meekly looking down. Prolly at their wee “junk”. Stop it. Just stop it!! You called it, Debbie, yup, you sure did, I heard ya. Ain’ no checkin’ goin’ on. Debbie called it. No checking, but LOTS OF CHECKS, LOTS O’ DEM GUMMINT CHECKS. All together now, everyone in America, especially y’all that love your country, you know, you dreaded “nationalists” that Natalie Maines hates. Bend over, put your head as far between your legs as you can, and . . . I have to take a plane to JFK in the near future. Let’s see how that goes. Believe me, I’m dreading it. We’re dead. Yep. That’s some bang for the buck we’re getting out of the most expensive security/surveillance setup in human history. The dam of our security is aching, straining at the seams. while our nation’s affairs, here and in general, have been turned over to a fire breathing money and freedom destroying dragon. Not even our military personnel is safe on base, on our own soil. We’re safe nowhere in a crowd. We don’t worry much about it knowing each of us in particular benefits from long odds of happening to be in the wrong placwe at the wrong time. some macabre lottery, ain’t it? Oh, crap. Look at all those errors in my too quick to post and send. Cousin Brucie, the old radio DJ, who once asked Roberto Clemente, Jr. how his dad was doing, that Brucie? Never mind that he died on December 31, 1972 in a small plane trying to bring food and supplies from here to Managua, Nicaragua, after a huge earthquake. Hey, we can all make mistakes, right? Just look at lee’s post. Lee, after that gaffe by Cousin Brucie, which WAS a long time ago, I think we can stand some typos from you, LOL!!! No, Alfredo, not that Cousin Brucie. I’m only familiar with him from the ’60’s satellite radio station. But since you brought him up, I’ll say he needs to be told it’s pay radio he’s working on—STFU and play more music. He talks too damn much, his voice is grating, and to add insult to injury, he’s boring. The Brucie I referred to is a sometime poster here who fancies himself gatekeeper on all things right and proper. Lee, I haven’t seen or heard anything of Cousin Brucie since I used to listen to him when WABC got started in 1965. Other than that, sometimes on those compilation of great old music collection infomercials. I knew he was still alive, but I stopped listening to music on the radio in 1978. I caught wind of the Roberto Clemente thing many years ago, listening to Mike and the Mad Dog, I think. As for indulgence of your typos, but of courrrrrrrse. I AM a typo, LOL!!! Gettin’ late and I hear my wife calling from the bedroom. She thinks I may have fallen down the basement stairs. Good night. It’s been fun ! Well, hope lee is sleeping tight, and he didn’t fall racing upstairs to get to the beckoning wife. But y’know? I have NO IDEA what my blood type is. In the immortal words of Britney Spears, . . .
OOPS, I DID IT AGAIN!!! I DO know I’m not the Boy From NYC. I never had a mohair suit, hate suits, definitely DON’T have ANY spendin’ loot, never really did, and the chicks aren’t exactly banging down my door, never were. But that was a nice compliment. Lee is a nice guy. Hope the wife wasn’t mad. How many people realise that “security errors” like this are not the result of simple incompetence – particularly as there have apparently been a plethora of them? In order to embrace the incompetence hypothesis, One would need to embrace an overarching absurdity – that the multi-billion dollar US intelligence/security machine is somehow less well informed than the average blogger. Debbie is not the average blogger. My comment wasn’t really about Debbie. Google will only get us so far. And, Debbie your presuming that our country gives a crap about anything any more. By that I mean both the government and its ‘citizens’. Everyone has their own little special interest and the common interest of our nation seems to be long gone. The government moves us from one crisis to the next, whlie the ‘citizens’ wander around aimlessly with their cause du jour; they’ll put some half-wit, has-been celebrity up front with a glossy ad campaign to “Save the whatever”. So, let’s use Google; but, that will only get the braggarts. 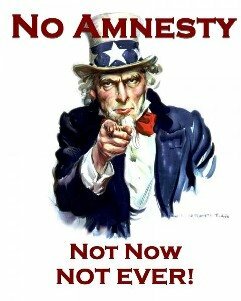 Moreover, once the amnesty balloon goes up, all the do-gooders will come out to find every loophole to lie, cheat, and steal their way to help these “….poor, downtrodden people”. Remember to “Save the whatever”. That’s right, Mr. Waddington, not incompetence at all. And nadie is right about everything he said, except for one thing. Debbie doesn’t really presume that the powers that be give a crap about anything anymore. She’s merely pointing out how little they give a crap and how aware we have to be of their nefarious nature and deeds. Speaking of security, it’s the 30th Anniversary of The Lebanon Bombing. That’s the day I started telling people that sort of thing was coming to American soil some day. All I got was rolled eyes, snickers and condescension. Howzat workin’ for us now? I think I’ve found something about our nefarious cabal, scheduled to convene in CHICAGO, of disguised incompetent sympathizers for “comprehensive immigration reform” aka amnesty. The hidden camera and recording system worked perfectly to witness a meeting infiltrated by two of my premier spies who successfully feigned enthusiasm and commitment to the “CAUSE” of allowing and enabling Rasmieh Yousef Odeh and others of her ilk to enter and become U.S. Citizens. These Civil Servants may appear incompetent, but that is their modus operandi. In truth, they are “googling dynamos” and we owe them a debt of gratitude for their excellent work re Ms Odeh’s admittance. Remember, who spies on the spies? We do. And, yes, I am the “holder of all secrets in this administration”. NOTE: This memo to you-know-who was sent by you-know-who, but was intercepted. I hope it is warning enough. These conspirators may appear harmless, but they are not. They are the rats in the sewer system of this country. Debbie said Odeh was an Islamic terrorist. This does not preclude joining in with the PFLP if that group had the weaponry to advance the cause of Islam. Finally, I note that you, as is typical of the Bnei Amalek, have a freakish use of the smiley. These are not nameless “victims” but two human beings whose lives were randomly cut short, because this woman had a grievance. She is pleading guilty on Wednesday.